Congratulations to our Milledgeville CVB Blogger Hannah on graduation from Georgia College. She has a bright future ahead of her. We are proud of the grace she has shown and the skills she has provided us. Best of luck and we better see you later! My time in Milledgeville has been short but impactful. The past four years I’ve spent here have been full of learning, loving and growing. Had it not been for my time spent with the Milledgeville CVB, I wouldn’t have gained such a love and appreciation for this sweet little town. Whether it’s been early mornings spent chugging iced dirty chais from Blackbird Coffee or late nights playing trivia and grabbing drinks at Buffington’s, The Brick and other downtown restaurants, this town will always hold a special place in my heart. Moving back to Atlanta will be an experience, full of unknown faces and the lack of southern charm I’ve learned to love down here in Milledgeville. 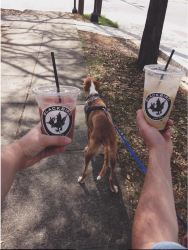 In the spirit of blogging, I present my top 10 things I’ll miss the most in Milledgeville. Tweet or Instagram using #millythingsillmiss so I can see yours! 1. Milledgeville sunrises and sunsets: They’re unlike any you’ll ever experience and they make waking up early worth it. 2. Anything iced from Blackbird Coffee: Give me iced espresso drinks or give me death. 3. Evening walks through Memory Hill Cemetery: The history in this cemetery is extraordinary and my dog thinks the squirrels are pretty great here too. 4. $2.50 Sunday mimosas at The Brick: Need I say more? 5. 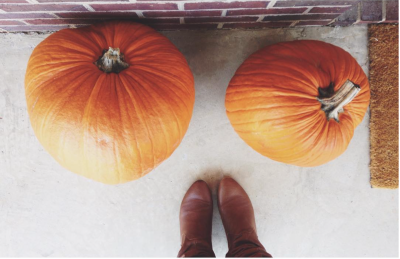 Fall days: Fall in Milledgeville is another thing that a lot of people take for granted. The leaves are crunchy, the air is crisp and Milledgeville is the ideal spot to be. 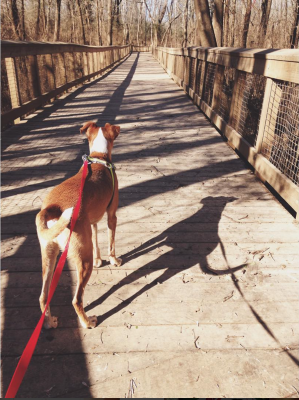 6.Oconee River Greenway: The best spot to unwind and take your mind off things for a little bit. My pooch is also a BIG fan of the dog park. 7. Friendly faces: Walking downtown or through campus, you’ll always see someone you know. 8. 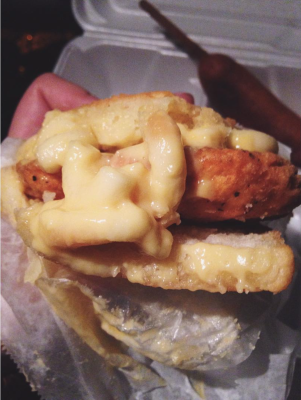 Golden Pantry chicken biscuits: Might I suggest topping it with mac and cheese? You’re welcome. 9. Deep Roots: This festival is my favorite annual tradition here in Milledgeville. While I’ve usually had to work it (Thanks, Gringos), I’m excited to come back as an alum and see the festival from an outsider’s point of view. 10. The locals and their stories: Though my time with the CVB has been short, the amount of fun and interesting people I’ve been able to meet has been the most impactful part of my Milledgeville journey. From interviewing people for blogs to greeting and meeting tourists, I’m probably Milledgeville’s number one fan. Leaving home and going to college isn’t easy for anyone. When I first visited Milledgeville to make my college decision, I had my doubts and fears about it. What if I didn’t meet anyone I liked? How could I live without a Target? WHERE IS PANERA? After spending four years here, I’m happy to say that Milledgeville gets under your skin and makes you a better, more relaxed version of yourself. There’s so many more little things I’ll miss about my favorite southern town but I know it’ll always be here to welcome me home.